Amidst all the questionable developments in the CBI, another officer named Ashwini Kumar Gupta has moved the Supreme Court against his “unjust and abrupt” midnight repatriation to his parent organisation as a penalty for unearthing clear link of CBI Special Director Rakesh Asthana with fugitives Nitin and Chetan Sandesara in what came to be known as the ‘Sterling Biotech case’. Gupta has sought permission to intervene in the petition filed by CBI Director Alok Kumar Verma and has sought quashing of the October 24 order repatriating him to his parent organisation, the Intelligence Bureau. Gupta had joined the IB in January 1999 and joined the CBI on deputation in July 2014 and served in the Economic Offences Wing, Bank Security and Fraud Cell, before being posted as Deputy SP, AC-I besides being the staff officer of the Joint Director, policy division, CBI. He was inducted in the CBI initially for three years and granted extensions several times. 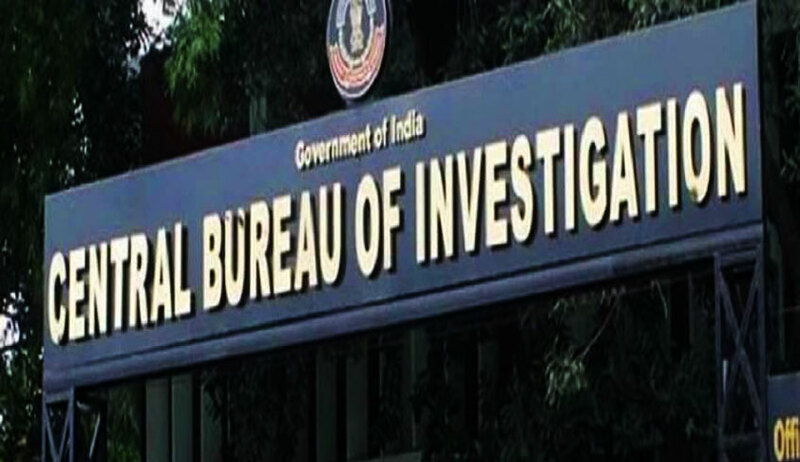 He said in his application that after extending his tenure till June 2018, the CBI once again sought a No Objection Certificate from the IB for further extension of his tenure till June 2019. The NOC was granted and communicated by the CBI to IB in June 2018. “Surprisingly, on the morning of October 24, 2018 around 10 AM, the CBI repatriated the applicant to his parent organisation i.e. IB on the ground that the order of his extension has not been received by the CBI whereas the fact of the matter is that NOC from the IB regarding the extension…was already received by CBI in June, 2018 i.e. before the expiry of the deputation period of the applicant and was forwarded to DoPT for their approval in June, 2018 itself,” he said. Gupta also informed that at present in CBI, a number of officers were on deputation from different police organisations/ state police who were continuing beyond their deputation tenure. “Singling out of the applicant is due to the fact that he was one of the officials carrying out investigation along with AK Bassi which led to unearthing of crucial findings implicating Rakesh Asthana in Sterling Biotech Case registered on August 30, 2017 at AC-III, New Delhi,” claimed Gupta. He added that Bassi had already moved an application in the Supreme Court in the petition moved by Alok Kumar Verma and has been victimised and penalised by transfer to Port Blair, Andaman, for discharging his duties conscientiously. Gupta said Bassi was directed by DSP Sunil Dutt to conduct part investigation on certain pointers against Asthana in the Sterling Biotech case and he accordingly proceeded to Vadodara on October 6. Thereafter, he was directed to assist Bassi. He stated that the Sterling Biotech case was registered on August 30 against several persons, including IRS Sunil Kumar Ojha, IRS Subhash Chandra etc., on the basis of sourced information that during income tax raid at the Sadesara Estate at Vadodara belonging to Sterling Biotech. A diary of 2011 was found which had 23 suspected entries for a total amount of Rs 3,94,72,106 with respect to Asthana. Gupta said he was assisting Bassi in probing the arrangements of the wedding ceremony of Asthana’s daughter and it was revealed that Chetan Sandesara managed payments relating to the wedding functions like caterers, stay of guests etc. He said the gist of the findings of the probe in Vadodara established undeniable, cogent, clear and unmistakable link of Asthana and his family with fugitives Nitin and Chetan Sandesara and that “infuriated Asthana so much that he made a mention of the same in his complaint to the cabinet secretary on October 18, 2018”. Gupta said he was “discharging his lawful duties at Vadodara but unfortunately the same caused the unjustified and abrupt repatriation of the applicant to IB in the midnight of 23/ 24 October, 2018”.